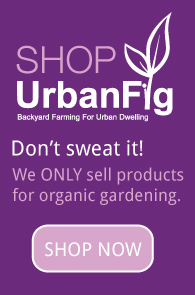 When we think of gardens, often three things come to mind: fruits, vegetables and flowers. And those are indeed three wonderful options for any garden. Herbs, however, can be an exceptionally potent addition to any type of garden. Some repel pests; others can help attract pollinators. And many can be used in making herbal medicines to treat a number of ailments. Mint: There are many varieties of mint for your garden, and most have a number of great benefits. Spearmint, for example will keep certain critters, like rats, away from your garden and house. It tastes delicious too, in desserts, tossed in salads, atop yogurt or fresh fruits. Peppermint too is a favorite for its delicious flavor. It can also help soothe an upset stomach, decrease gas and bloating by simply steeping fresh or dried leaves in warm water, like a tea. 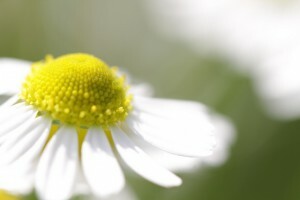 Chamomile: Also in the tummy-taming category are the beautiful and fragrant chamomile flowers. It makes a lovely cup of tea, calming the stomach and spirit, and if you happen to make your own body care products, chamomile has skin calming and soothing effects as well. Calendula: Another outstanding skin soother is calendula, the gorgeous, bright orange flower that adds color and depth to any garden. It’s outstanding in soothing skin conditions such as rashes, dryness and insect bites. Make a “skin wash” by letting the flowers steep in hot water like a tea (cool before using). Calendula may also be added to homemade lotion and salve recipes. Drink the tea for skin health, immune boosting and easing menstrual cramps, or eat the flowers whole in salads. Fennel: Not the easiest herb to grow, but it’s well worth it if done properly. Its delicious, anise-y flavor livens up salads, stir-fries, even smoothies! And as a medicinal herb, it’s full of healthy benefits including improving milk-flow for breastfeeding mothers, easing menstruation, soothing digestion, relieving depression and even decreasing blood pressure. Dandelion: Although it certainly grows like a weed, the mighty dandelion has astounding nutritional and medicinal properties. The leaves are peppery and can be sautéed up like kale or chard for a vitamin and mineral rich treat, and brewed as a tea or tincture, can help cleanse the liver and blood, sooth skin conditions and even relieve muscle aches and pains.